Accessible Housing Information. If you are looking for accessible housing in your area or another part of the state, we are compiling information to assist you in your search. A list is available upon request. A useful website is www.simpliﬁeddisabledhousing.com. This site deﬁnes accessible housing, disabled housing, assisted living and housing modiﬁcations for your current home. Alternative Medicine. This folder contains information regarding acupuncture, magnet therapy, relaxation techniques, yoga, water therapy, biofeedback, and electrical stimulation as they relate to post polio and its late effects. A video of water exercises and gentle exercises that can be done in a wheelchair are also available. Americans with Disabilities Act (A Guide to Disability Rights Laws) This booklet can be downloaded off the US Dept of Justice website or requested from the library. (Last issue-2002) Visit the website www.ada.gov. See what's new for Americans with Disabilities. Many challenges to violations are currently available on the website. Applying for Disability. 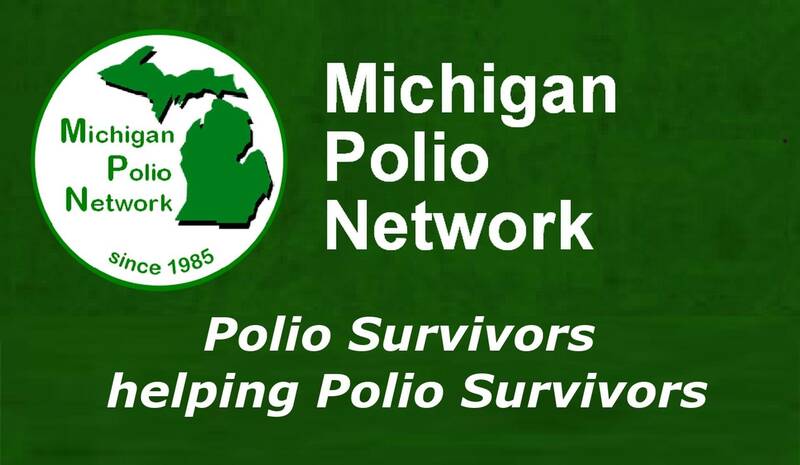 A collection of tips on applying for Social Security Disability Beneﬁts for polio survivors. Differences between SSI and SSDI are included as well as information on advocacy groups to assist you. The 2003 SSA ruling for disability to post polios is sent by request or can be retrieved from the website www.ada.gov. Anesthesia Concerns Selma Harrison Calmes MD. retired, has written extensively on this topic since 1997. Current updates are available at post-polio.org/ipn/anes.html or from the library. This topic was updated by Dr. Calmes at the PHI 2009 "Living with Polio in the 21st Century" Conference. Copies are available upon request. Anesthesia Precautions for People with Neurological Conditions Brain and Brain Stem Damage Information. Read how the polio virus affected the brain stem. Visit website www.ippso-world.org or mayoclinic.com (Brain and Nervous System) Slide Show-How The Brain Works. US Dept of Health (www.ninds.nih.gov)sends "Know Your Brain" free of charge. Request it from their website or phone(800-352-9424) Publication #01-3440a. Breathing / Swallowing Issues. Suggestions pertaining to breathing and swallowing issues and explanations on the types of problems survivors may have are contained here. "Polio Above the Neck" by Dr. Susan Perlman and recent updates given from PHI "Strategies for Living Well" conference can be sent by request. Visit post-polio.orgfor more information. Catalogs. containing the latest in assistive devices, area agencies and information for post polios are available. Coping with PPS. Problems such as sleep disorders, stress management, nutrition, foot problems therapy do's and don'ts are contained in this ﬁle. Booklets available from US Dept of Health & Human Services free of charge include Post Polio Syndrome-Publication #96-4030, Restless Leg Syndrome-Publication #01-4847, Carpel Tunnel Syndrome- Publication #03-4898, Myoclonus (involuntary jerking of muscles) Publication #00-4793, Understanding Sleep-publication #04-3440c. A History of Polio, it's Late Effects, Post-Polio Syndrome Comprehensive articles are contained in the groupings. Learn about polio, the late effects and ways to recognize and help yourself manage your current condition. Some articles are historical in context. Pain and Fatigue Issues. Helpful suggestions and a summary of what can cause pain and fatigue are addressed. Most recent articles by Carol Vandenakker, MD Director of the Post Polio Clinic/University of California can be requested. Learn about muscle pain, overuse pain, degenerative disease pain - all speciﬁc to post polio. US Department of Health and Human Services (www.ninds.nih.gov) provides a booklet on pain-publication #01-2406.